Generative Models Tutorial with Demo: Popular GANs Architectures, Auto-Regressive Models, Important Generative Model Papers, Courses, etc. Keywords: Bayesian Classifier Sampling, Variational Auto Encoder (VAE), Generative Adversial Networks (GANs), Popular GANs Architectures, Auto-Regressive Models, Important Generative Model Papers, Courses, etc.. NOTE: This tutorial is only for education purpose. It is not academic study/paper. All related references are listed at the end of the file. In generative models, a large amount of data in some domain firstly is collected and then model is trained with this large amount of data to generate data like it. Generative models are also promising in the long term future because it has a potential power to learn the natural features of a dataset automatically. Generative models are mostly used to generate images (vision area). In the recent studies, it will also used to generate sentences (natural language processing area). It can be said that Generative models begins with sampling. 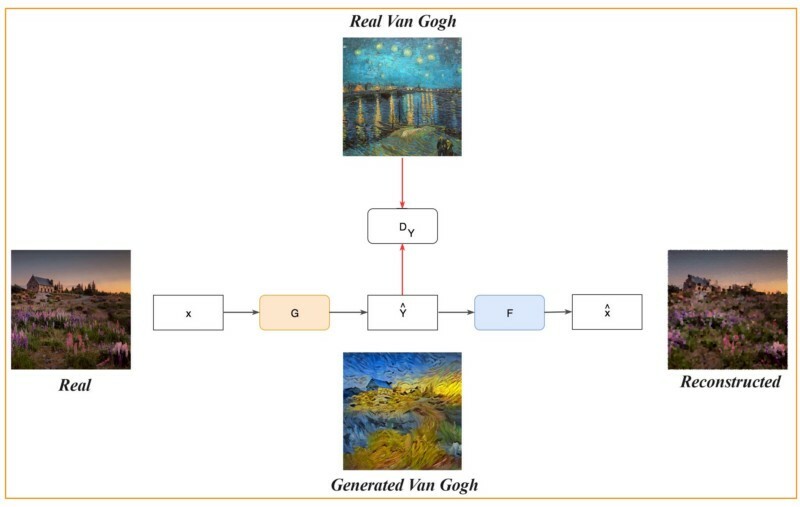 Generative models are told in this tutorial according to the development steps of generative models: Sampling, Gaussian Mixture Models, Variational AutoEncoder, Generative Adversial Networks. Gaussian (Normal) Distribution: A symmetrical data distribution, where most of the results lie near the mean. "Update your prior distribution with the data using Bayes' theorem to obtain a posterior distribution." "Analyze the posterior distribution and summarize it (mean, median, etc.)" We use sampling data to generate new samples (using distribution of the training data). If we know the probability distribution of the training data , we can sample from it. Example1: If the structure of poetry/text can be learned, it is possible to generate text/poetry that resembles the given text/poetry. Example2: If the structure of art can be learned, it is possible to make new art/drawings that resembles the given art/drawings. Example3: If the structure of music can be learned, it is possible to create new music that resembles the given music. Single gaussian model learns blurry images if there are more than one gaussian distribution (e.g. different types of writing digits in handwriting). To get best result, GMM have to used to model more than one gaussian distribution. GMM is latent variable model. With GMM, multi-modal distribution can be modelled at the same time. Multiple gaussians in different proportions are fitted into the GMM. 2 clusters: p(x)=p(z=1) p(x|z=1) + p(z=2) p(x|z=2). In figure, there are 2 different proportions gaussian distributions. EM is iterative algorithm that let the likelihood improves at each step. The aim of EM is to reach maximum likelihood. A neural network that predicts (reconstructs) its own input. It is a feed forward network. 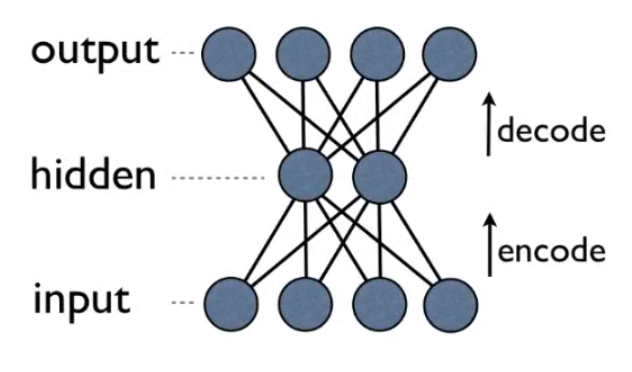 Instead of fit(X,Y) like neural networks, autoencoders fit(X,X). Variational inference (VI) is the significant component of Variational AutoEncoders. VI ~ Bayesian extension of EM. In GMM/K-Means Clustering, you have choose the number of clusters. VI-GMM (Variational inference-Gaussian Mixture Model) automatically finds the number of cluster. VAE is a neural network that learns to generate its input. It can map data to latent space, then generate samples using latent space. VAE is combination of autoencoders and variational inference. It doesn't work like tradional autoencoders. VAE consists of two units: Encoder, Decoder. The output of decoder represents Bernoulli distributions. From a probability distribution, new samples can be generated. The encoder ‘encodes’ the data which is 784-dimensional into a latent (hidden) representation space z. The encoder outputs parameters to q(z∣x), which is a Gaussian probability density. The decoder gets as input the latent representation of a digit z and outputs 784 Bernoulli parameters, one for each of the 784 pixels in the image. The decoder ‘decodes’ the real-valued numbers in z into 784 real-valued numbers between 0 and 1. Encoder takes the input of image "8" and gives output q(z|x). Evidence Lower Bound (ELBO) is our objective function that has to be maximized. ELBO consists of two terms: Expected Log-Likelihood of the data and KL divergence between q(z|x) and p(z). Expected Log-Likelihood is negative cross-entropy between original data and recontructed data. "Expected Log-Likelihood encourages the decoder to learn to reconstruct the data. If the decoder’s output does not reconstruct the data well, it will incur a large cost in this loss function". "KL divergence measures how much information is lost (in units of nats) when using q to represent p. It is one measure of how close q is to p". KL divergence provides to compare 2 probability distributions. If the two probability distributions are exactly same (q=p), KL divergence equals to 0. If the two probability distributions are not same (q!=p), KL divergence > 0 . Cost function consists of two part: How the model's output is close to target and regularization. GANs are interesting because it generates samples exceptionally good. GANs are used in different applications (details are summarized following sections). GANs are different form other generative models (Bayesian Classifier, Variational Autoencoders, Restricted Boltzmann Machines). GANs are not dealing with explicit probabilities, instead, its aim is to reach Nash Equilibrium of a game. RBM generate samples with Monte Carlo Sampling (thousands of iterations are needed to generate, and how many iterations are needed is not known). GANs generate samples with in single pass. There are 2 different networks in GANs: generator and discriminator, compete against each other. Generator Network tries to fool the discriminator. Disciminator Network tries not to be fooled. Generator and Discriminator try to optimize the opposite cost functions. Discriminator classifies images as a real or fake images with binary classification. t: target; y: output probability of the discriminator. Binary cost function evaluates discriminator cost function. In game theory, this situation is called "zero-sum game". Sum of all players in the game is 0. In the first step: Generator generates some of the real samples and fake samples. 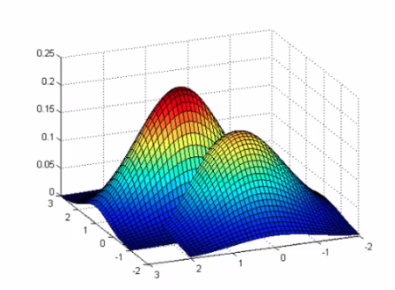 In the second step: Gradient descent of the discriminator is run one iteration. In the third step: Gradient descent of the generator is run one iteration. Repeat this until seeing the good samples. Some of the researches run third step twice to get better results. DCGAN architecture produces high quality and high resolution images in a single pass. DCGANs contain batch normalization (batch norm: z=(x-mean)/std, batch norm is used between layers). 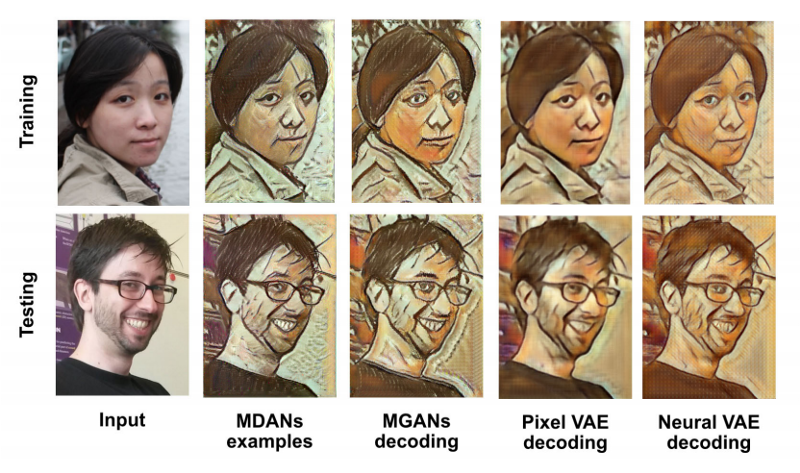 DCGANs also contain only all-convolutional layers instead of contaning convolution, pooling, linear layers together. Discriminator uses Leaky-ReLU (Rectified Linear Unit), generator uses normal ReLU. Typical Convolution: input size is bigger or equal than output size (Stride>1). Deconvolution: input size is smaller than output size (Stride<1). Stride size is smaller than 1. If stride=2 is used while convolution operation, output image size is 1/2 original image size. If stride=1/2 is used while convolution operation, output image size is 2x original image size. With fractionally-strided convolution (deconvolution), output image size is bigger than input image size. Transfer from Monet paintings to landscape photos from Flickr, and vice versa. Transfer from zebras to horses, and vice versa. Transfer from summer to winter photos, and vice versa. Pix2Pix is an image-to-image translation algorithm: aerials to map, labels to street scene, labels to facade, day to night, edges to photo. PixelDTGAN generates clothing images from an image. "The model transfers an input domain to a target domain in semantic level, and generates the target image in pixel level." "They verify their model through a challenging task of generating a piece of clothing from an input image of a dressed person"
"This paper proposes the novel Pose Guided Person Generation Network (PG2 that allows to synthesize person images in arbitrary poses, based on an image of that person and a novel pose"
SRGAN: "a generative adversarial network (GAN) for image super-resolution (SR)"
They generate super-resolution images from the lower resolution images. Stacked Generative Adversarial Networks (Stack-GAN): "to generate photo-realistic images conditioned on text descriptions". Input: sentence, Output: multiple images fitting the description. "Synthesis faces in different poses: With a single input image, they create faces in different viewing angles." 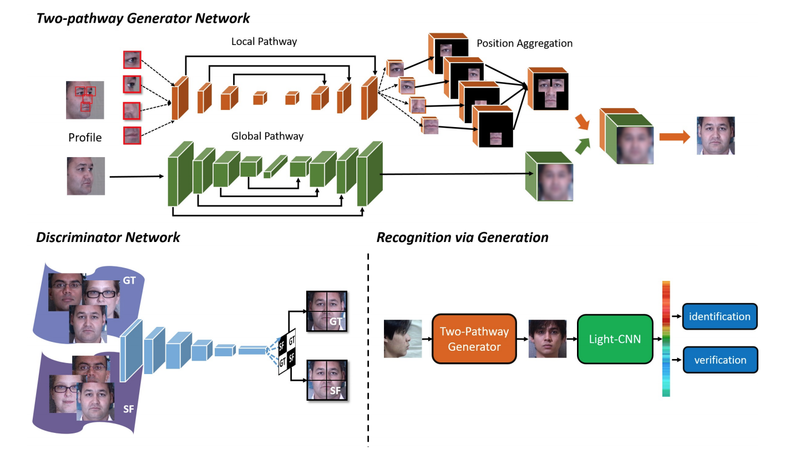 "They explore the training of GAN models specialized on an anime facial image dataset." This paper proposed creating 3D objects with GAN. "They demonstrated that their models are able to generate novel objects and to reconstruct 3D objects from images"
They proposed the GAN-based method for automatic face aging. "A deep convolutional generative adversarial network to learn a manifold of normal anatomical variability". "DiscoGAN learns cross domain relationship without labels or pairing". Proposed method is to create emoji from pictures. "They can synthesize an SVHN image that resembles a given MNIST image, or synthesize a face that matches an emoji." "They evaluate encoders to inverse the mapping of a cGAN, i.e., mapping a real image into a latent space and a conditional representation". Proposed method is to reconstruct or edit images with specific attribute. "Markovian Generative Adversarial Networks (MGANs), a method for training generative neural networks for efficient texture synthesis." "They apply this idea to texture synthesis, style transfer, and video stylization." "They propose a novel conditional mechanism to exploit available prior knowledge, so that the model can generate melodies either from scratch, by following a chord sequence, or by conditioning on the melody of previous bars"
"MidiNet can be expanded to generate music with multiple MIDI channels"
"Proposed method improves small object detection through narrowing representation difference of small objects from the large ones"
"The basic difference between Generative Adversarial Networks (GANs) and Auto-regressive models is that GANs learn implicit data distribution whereas the latter learns an explicit distribution governed by a prior imposed by model structure" [Sharma]. Provides a way to calculate likelihood: They have advantage of returning explicit probability densities. Hence it can be applied in the application areas related compression and probabilistic planning and exploration. The training is more stable than GANs:"Training a GAN requires finding the Nash equilibrium". Training of PixelRNN, PixelCNN are more stable than GANs. It works for both discrete and continuous data:"It’s hard to learn to generate discrete data for GAN, like text" [Sharma]. It is used for image completion applications. "It uses probabilistic density models (like Gaussian or Normal distribution) to quantify the pixels of an image as a product of conditional distributions." "This approach turns the modeling problem into a sequence problem wherein the next pixel value is determined by all the previously generated pixel values". Cost function: "Negative log likelihood (NLL) is used as the loss and evaluation metric as the network predicts(classifies) the values of pixel from values 0–255." 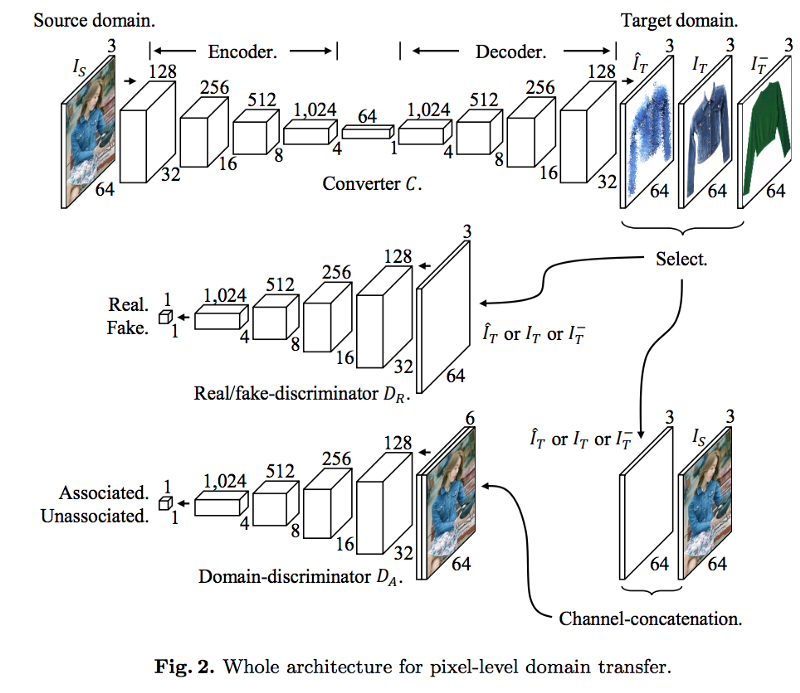 Papers: Oord et al., Pixel Recurrent Neural Networks; Oord et al., Conditional Image Generation with PixelCNN Decoders (proposed from Google DeepMind). "The main drawback of PixelRNN is that training is very slow as each state needs to be computed sequentially. 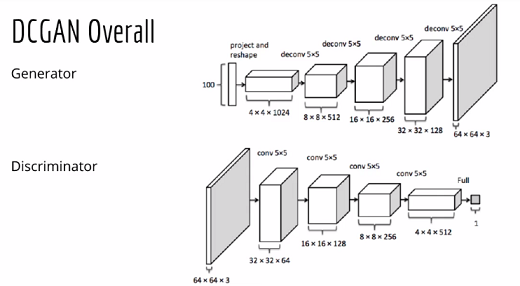 This can be overcome by using convolutional layers and increasing the receptive field." "PixelCNN lowers the training time considerably as compared to PixelRNN." "The major drawback of PixelCNN is that it’s performance is worse than PixelRNN. Another drawback is the presence of a Blind Spot in the receptive field"
"PixelCNN++ outperforms both PixelRNN and PixelCNN by a margin. When trained on CIFAR-10 the best test log-likelihood is 2.92 bits/pixel as compared to 3.0 of PixelRNN and 3.03 of gated PixelCNN." Details are in the paper PIXELCNN++: IMPROVING THE PIXEL CNN WITH DISCRETIZED LOGISTIC MIXTURE LIKELIHOOD AND OTHER MODIFICATIONS. "The standard reinforcement learning setting usually requires one to design a reward function that describes the desired behavior of the agent. However, in practice this can sometimes involve expensive trial-and-error process to get the details right. In contrast, in imitation learning the agent learns from example demonstrations (for example provided by teleoperation in robotics), eliminating the need to design a reward function. This approach can be used to learn policies from expert demonstrations (without rewards) on hard OpenAI Gym environments, such as Ant and Humanoid." [Blog Open-AI]. "Popular imitation approaches involve a two-stage pipeline: first learning a reward function, then running RL on that reward. Such a pipeline can be slow, and because it’s indirect, it is hard to guarantee that the resulting policy works well. This work shows how one can directly extract policies from data via a connection to GANs" [Blog Open-AI].